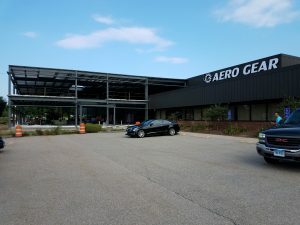 Aero Gear is excited to announce the expansion of our facility! We are growing and need to equip our company for the coming years. 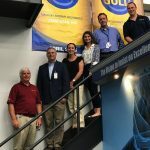 Our new addition of approximately 24,000 square feet will provide a brand new lobby, conference room, offices, and manufacturing space for several new programs. 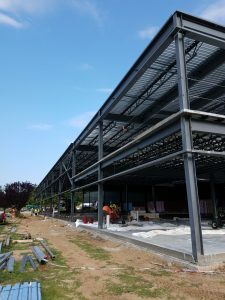 The addition is progressing in leaps and bounds to meet the projected end date of the first week in January 2018. In trying to meet the increased demand of our customers, it became obvious that additional people and machines were necessary, and the only way to do this was through expanding our facility. Our Flow Line concept is based on providing the best quality, shortest lead time and reasonable cost by eliminating waste in the process. Only with new people and machines are we able to manufacture gears in an efficient process to meet increase in demand. Aerospace gearboxes are the “brawn” of the aircraft power system and require the highest quality precision engineering and manufacturing. 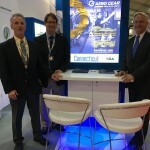 At Aero Gear we have repeatedly proven ourselves as a leading manufacturer of complex gearbox assemblies for the global aerospace market. The influx of new products means more employees are needed to fill the growth of the company. As we expand in employees, the office space increases. In order to provide them with an excellent work space, new offices will be a part of the expansion. The expansion demonstrates that we are committed to the long-haul. It shows our desire for excellence both internally and externally. Each component added to the company – whether it’s a staff member, or a new space – is vital to who we are. We expanding to fulfill our tagline . . . Insist on Excellence!